"Oh Daddy ! You don't get my point !" The commentary is putting a smile on my face. Love it! You caught this just right.....and wonderful caption.. Very cute shot... however, I like all the red hats too.. nice composition. cute shot and I love his sunglasses! Very cute shot..such expressive hands! 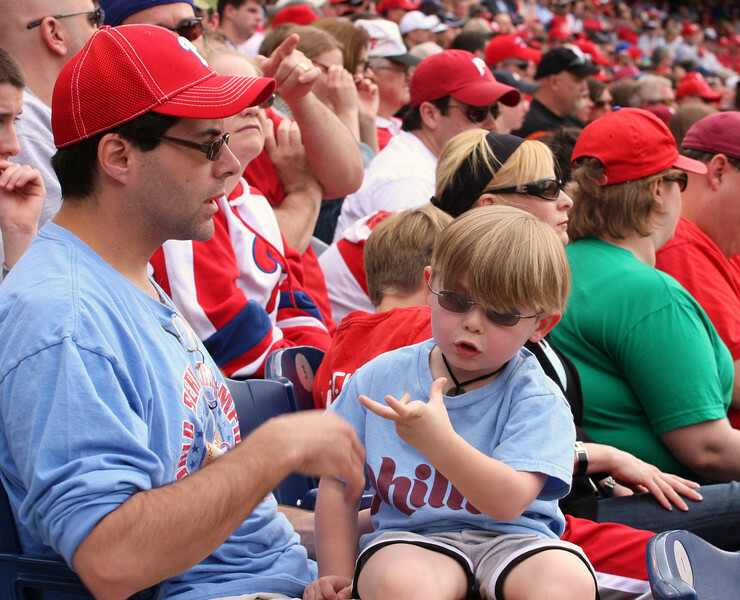 I'm surprised to see this is a Phillies game shot. Are you in Philadelphia? I'm going to have to check out your gallery more carefully! Nice catch of son and dad! Love the sea of red.